If you route all of your voice calls through data-only web tools like Hangouts, you may want to keep an eye on T-Mobile. 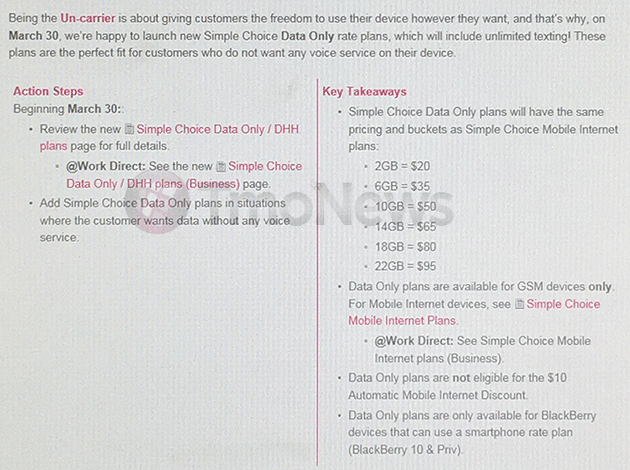 According to an internal leak posted by Tmo News, the "uncarrier" will offer a surprisingly wide array of data-only options starting later this week. While these plans are still under the "Simple Choice" label, they're considerably cheaper than the existing options thanks to omitting voice services. The plans do include the now-standard unlimited texting, whether you need it or not. 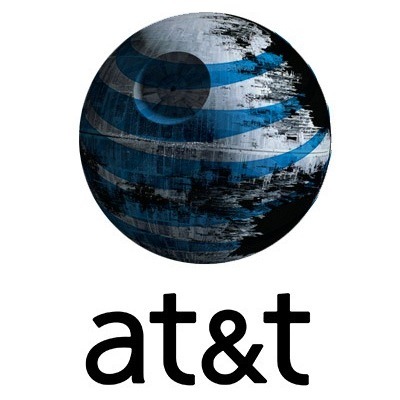 A few days ago, AT&T CEO Randall Stephenson revealed that the cellular industry would be moving towards data-only plans in the next few years, rather than the separated voice, message, and data system that is used today. Under the new system, voice and messages would be billed as data. The question, obviously, is at what rate they'd billed. Initially, this may seem like a great idea for both parties. Obviously it allows carriers to get a handle on all the services their customers are using (such as Skype for calls rather than normal voice), as well as sneak in some "toll-free" data services. Carriers such as AT&T make a good deal of their profits from calling and texting plans because they use such little data, but Stephenson believes that these data-only plans are necessary because of the growing prominence of apps such as Skype that replace the functionality of phone calls using data.